Summer’s up & running! | ..:: The Razorblades ::..
we’ve been sweating like crazy in the last days in Germany, but we’re happy that summer’s finally here! 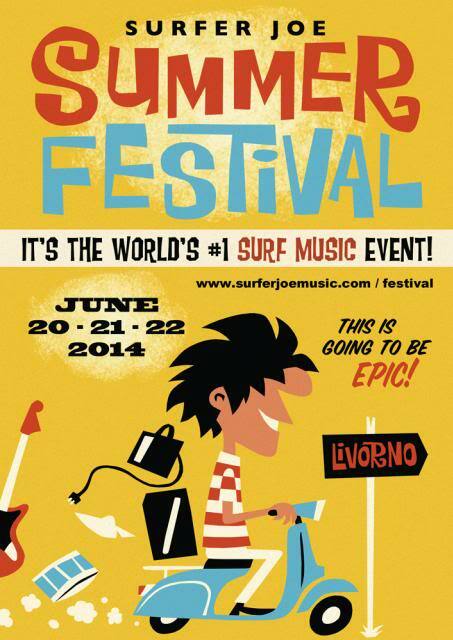 No, we’re looking forward to the main surf music event in the world, the SURFER JOE FESTIVAL! We’ll play there on June 21 at 10.30 P.M. and we’re gonna rock the place! We also will meet friends from all over the world…among them El Ray, Slacktone, Fifty Foot Combo and Mr. Surfer Joe himself….drink beer, talk about surf music, listen to some great bands and everything happens in the Italian sun…Espresso in the morning guaranteed! Rob is also doing a seminar on surf guitar on Saturday afternoon, June 21st. Don’t miss it! After the festival, we’ll play three more shows in Germany and Luxembourg and then take a break for the summer. Don’t worry, we’re working on new songs, nearly 30 shows are booked for the fall, so we’re not lazy at all. Check the upcoming tourdates & see you on the road!